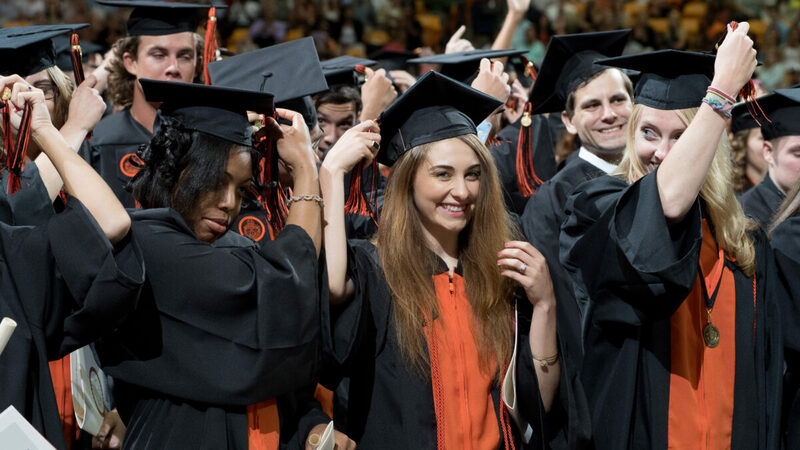 Campbell University will confer approximately 1,100 degrees over five graduation ceremonies Friday, May 12, and Saturday, May 13. The Campbell University Jerry M. Wallace School of Osteopathic Medicine will graduate its inaugural class of 150 physicians on Saturday, May 20. Dr. Belle Wheelan, president of the Southern Association of Colleges and Schools Commission on Colleges, will deliver the commencement address at the University’s main graduation ceremony. In addition to the five graduation ceremonies this weekend, the Campbell Battalion ROTC program will commission its 14 senior officers on Friday, May 12, at 3 p.m. When: Friday, May 12 | 10 a.m.
Stein serves as the 50th attorney general for North Carolina, and previously served in the North Carolina Senate for seven years representing District 16 in Wake County. In prior years, Stein has served as an adjunct faculty member at Campbell Law, teaching courses in Election law, Consumer Protection and State Legislative Policymaking. When: Friday, May 12 | 3 p.m.
Califf is a nationally recognized expert in the field of cardiovascular medicine, health outcomes research, healthcare quality, and clinical research. He served as the commissioner of the Food and Drug Administration until January 2017. When: Friday, May 12 | 7 p.m.
Hailey is serving in his 21st year as pastor of Hayes Barton Baptist Church. When: Saturday, May 13 | 9 a.m.
Wheelan is the first African-American and first female to serve as president of the Southern Association of Colleges and Schools Commission on Colleges. In her over 40 year career, she has served as faculty member, chief student services officer, campus provost, college president and Secretary of Education. When: Saturday, May 13 | 3 p.m.
Espino is a 15 year Army veteran, Tillman Military Scholar and member of the inaugural class of physicians at the Campbell University Jerry M. Wallace School of Osteopathic Medicine. When: Saturday, May 20 | 10 a.m.
Wallace served as the fourth president of Campbell University and led the university in an explosive era of growth and development. He retired from his role as president in June 2015 and transitioned into the role of chancellor in 2016.